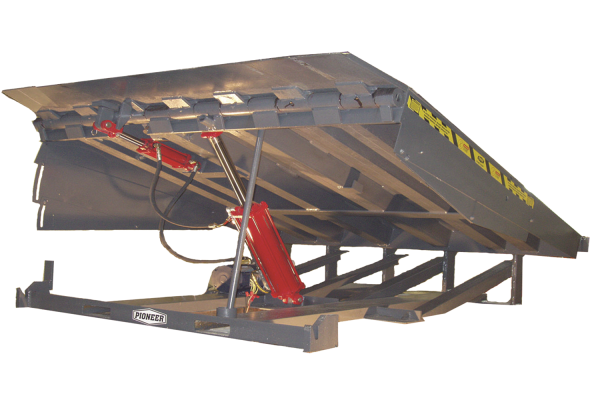 Hydraulic, mechanical, pneumatic dock levelers meets all levels of need in the commercial division. 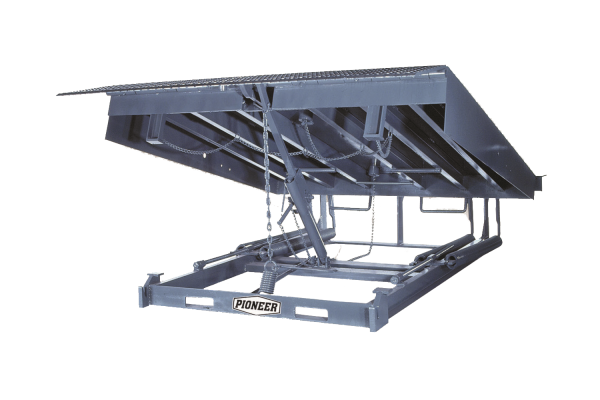 No matter the size or load capacity requirements Pioneer pit leveler equipment is custom made to fit any company’s needs. 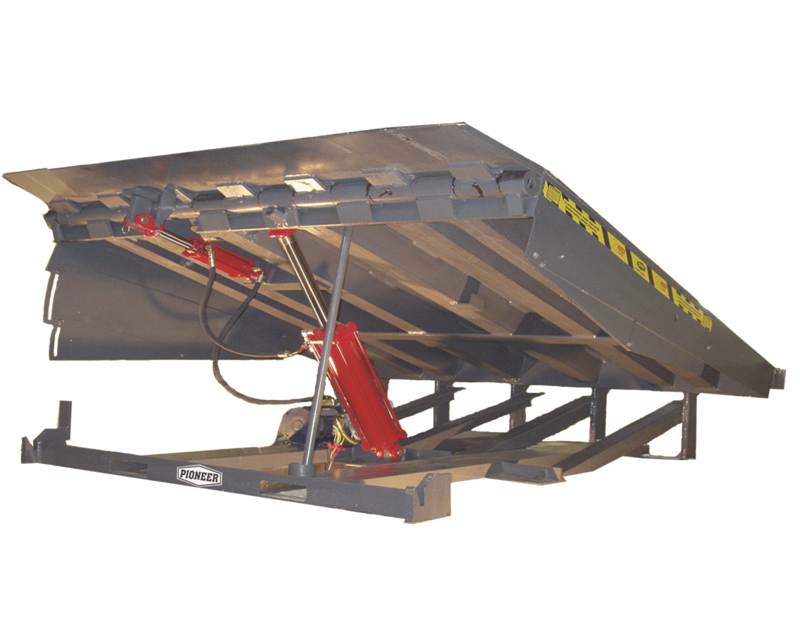 The Edge-of-Dock levelers can lift up to 35,000 lbs. 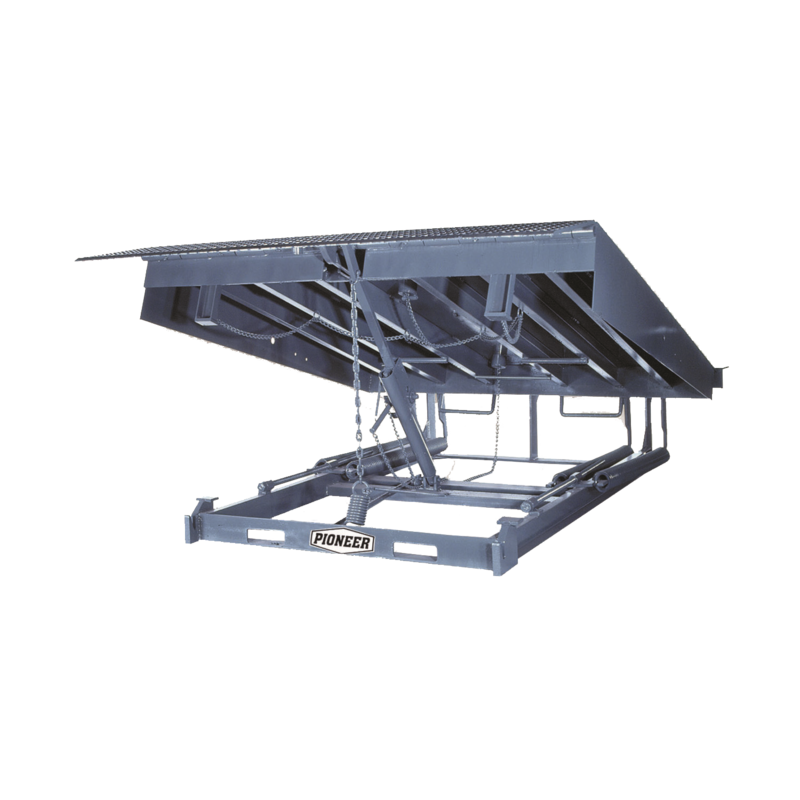 If you don’t have a pit and the door is wider than the limits of a Edge-of-Dock leveler then Top-of-Dock levelers are the perfect fit for your dock.